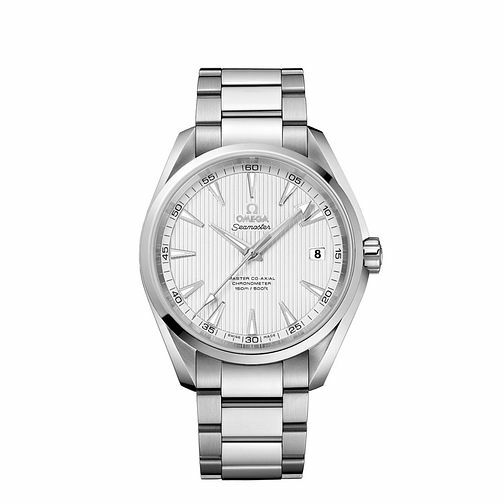 Omega brings you this classic chronometer watch from the Seamaster Aqua Terra 150M collection, with a brushed stainless steel bracelet and a stylish white dial. The hours are shown by white hour markers and complementary hands. Powered by co-axial movement.